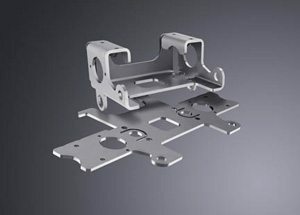 Precision forming is a specialty of Richards Sheet Metal. Richards has always had a strong and very accurate forming “Cell” with multiple breaks and skilled operators that allow flexibility and high capacity. 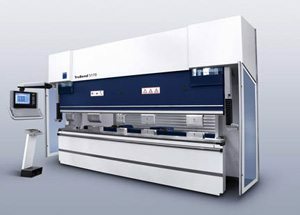 Seeing the need for even higher accuracy and repeatability, we have invested in an off-line programmable press break by Trumpf with an extremely fast high-precision 6-axis back gauge. These machines can compensate for thickness variance in material as well as spring back. All of these features allow less experienced operators to produce the highest quality of precision bending.